Shafaat Ali is a Pakistani comedian whose funny mimicking videos went viral on facebook and later all over the internet. He has been performing at corporate events and was also seen at the Karachi Literature festival. Good news for all his fans because Ali is now making his movie debut in the upcoming Momina Duraid Production, Parwaaz Hai Junoon starring Hamza Ali Abbasi, Hania Aamir and Asif Raza Mir’s son and Ahad Raza Mir. 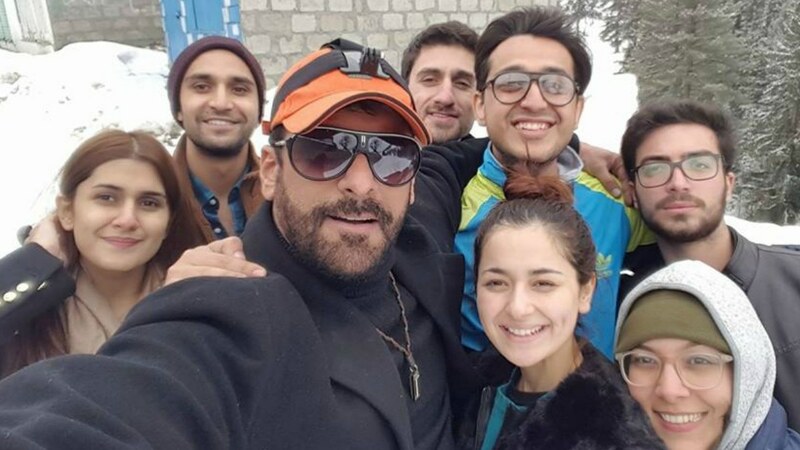 “I was initially approached to audition for a drama serial; however, the team at HUM found me to be quite fit for the character in the film and that’s when they told me that they had another project in mind for me,” he told Images over a telephonic conversation from the set of his film’s second spell at K2 and the Karakoram Highway.